For many languages, when we begin learning, we find ourselves in narratives or dialogues, and so it pays to fully grasp as soon as possible the available forms of verbs of saying (verba dicendi). In Old Georgian, more than one root serves for “to say”, all plentifully exemplified. Across the paradigm series, there are two types: absolute forms (e.g. “he said”) and relative forms (e.g. “he said to them”). In this post, I will give forms and examples for the absolute type, and in the next part those for the relative type. 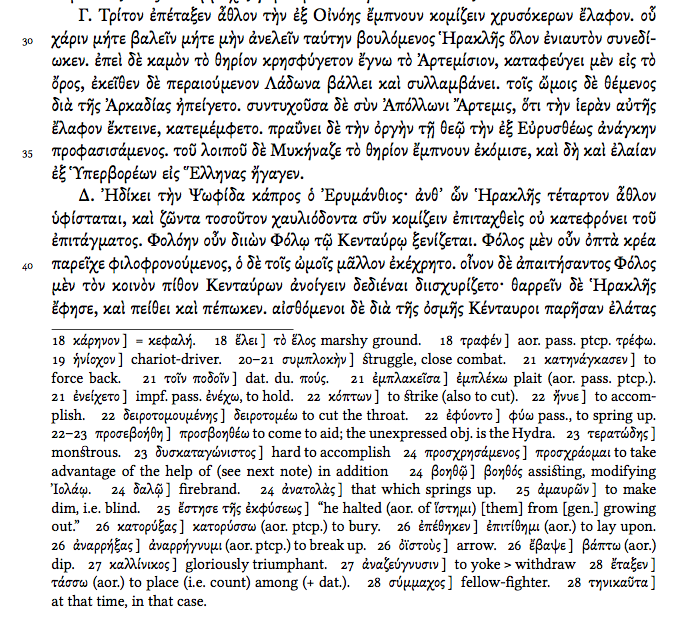 I have collected these illustrative examples from my own reading and by searching the TITUS/Armazi database. Translations (or Greek original) are included for the non-biblical examples, and for a few of the biblical examples. The references to the texts will be sufficiently clear, I hope. 3sg აწ, საყუარელნო, რასა იტყუის სახარებაჲ? Sin. Mrav. 147.5 Now, beloved, what does the Gospel say? This form is distinguished from the present only in the third person forms. Identical in form to the present conjunctive (see below). NB the second person forms are identical to the imperfect. 2pl ეგრე ყავთ, ვითარცა სთქუთ Gen 18:5 JerLect Thus do as you said. 3sg ხოლო თქუის: უმჯობეჲს და უპატიოსნეჲს არს ესე ჩემდა უფროჲს ძოწეულისა მის სამეუფოჲსა Ubadn. Mrav. (Vit.PaulTheb. 17) (p. 74.21) But he said: This is better and dearer to me than a royal garment of purple. 1sg და რაჲ ვთქოჳა? Imnaishvili Old Geo. Reader 1 (Ephrem, Paen. 5) (p. 3.22) And what shall I say? 1sg რაჲ ვთქუა დღისა მისთჳს და ჟამისა! Old Geo. Hag. 5 (Ketevan) p. 7.30 What shall I say of this day and time! 2sg თქოჳ ჭეშმა<რი>ტი Protoev. Jac. 15.4 (Vind2 66vb19) Speak the truth! Aside from the idiom mentioned below (გული მითქუამს, etc. ), these forms are not very common in older Georgian, and here I only give a few of those for the perfect (not pluperfect, perfect conjunctive). As I mentioned above, I will do the same for relative forms in a forthcoming post.